Chromebook compatible printers are needed to print from Chromebooks (ChromeOS). To some people’s confusion, Chromebooks do not support printing from local printers via USB port like Windows and OSX does. To print from your Chromebooks, you need to connect to the Google Cloud Print service and share a printer. See the following guide on how to print from a Chromebook. It is not hard to do and you make most old printers work by downloading and installing certain software to add a printer to a Chromebook. The easiest solution to Chromebook printing is to get a Google Cloud Printer that is compatible with Chromebooks from the beginning. This will be the best Chromebook printing solution for most people because it does not require much setup. The Google Cloud Printers will work right out of the box and are the easiest Chromebook compatible printing solution. After connecting a printer to Cloud Print, you’re ready to print from your Chromebook. You can either select File > Print in the menubar, or use the keyboard shortcut of Ctrl + P. A print dialogue like the one above will present itself. Then you can print like you would on a Windows or Mac computer! Again, this is one of the best reasons to get a dedicated Chromebook printer, the simplicity! For the best experience printing on your Chromebook, it is reccomend to get a Google Cloud Ready printer. The advantages is that Google Cloud Ready printers connect directly to the web and don’t require a PC to setup. To print from your Chromebook, you can connect one to your Google Cloud Print account in seconds, and immediately start printing to it. This is likely the best solution for most people looking to print from a Chromebook. You can send print jobs from anywhere using your mobile devices or other computers. The Cannon MX492 is a great Chromebook compatible printer. In just a few clicks, the printer will easily connect to your wireless access point and print in no time. Easily print or scan important documents and images from your smartphone or tablet. Really requires no configuration by you – you download a small application file from the Canon web site, and it walks you through every step with pictures of what buttons to press and what to click on. Setting up this Chromebook compatible printer really could not be more simple and clear. You do NOT have to connect this by USB first, so there is no reason for you to buy a USB printer cable (unlike many other printers that require one for setup). Using the printer can be done entirely by WiFi. This is why the Canon MX492 is one of the best Chromebook compatible printers. The Epson Expression Premium XP-6000 is a new printer being released that is compatible with Chromebooks. The Epson Chromebook printer is filled with creative features that will make user happy. The expression premium XP-6000 wireless Small-in-One printer delivers superior photo quality and sharp text. 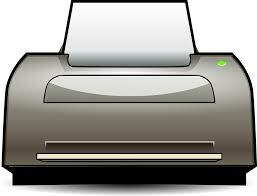 You can save time with auto 2-sided printing; and, print 4″ x 6″ photos in as fast as 15 seconds. Easily print from your iPad, iPhone, Android tablet or Chromebook without a router. The sleek XP-6000 prints borderless photos up to 8″ x 10″, and provides dedicated trays for printing photos and DVD. Other features include a 2.7″ LCD, plus built-in USB and card slots for PC-free printing. And, you can easily print Facebook and Instagram photos, collages and more with the Epson creative print app. Right out of the box, this Canon PIXMA MG4220 was easy to setup. Remove the packaging, follow a few steps to get this printer setup with a Chromebook or Google Cloud Ready Print. Print quality is good and the options available are very good. To have an all in one photo/copier/printer is great for home use. Ink cartridges are more reasonably priced than HP and have options for tank size/capacity which can save money. The printer is very noisy however and takes a long time to warm up. During print jobs it will stop and tell me to wait momentarily while it does some unexplained function. Lots of clattering and movement in the printer. Good printer but annoying with the slowness and noise. The Samsung printer is very easy to setup with Chromebooks and Googe Cloud Print. This is an amazing printer for Chromebooks that fits most (if not all) user needs. It is small (8.5 x 13.1 x 7 inches) enough that you can elegantly put it anywhere. It is gorgeous looking and at the same time very discreet (unlike those big do-it-all machines no one can miss). Works silently enough. Prints 21 ppm (which is quite fast). Extremely easy to setup. You can have this setup with your Chromebook in 10 minutes. The Brother MFCL2750DW is a fast, reliable monochrome laser all-in-one designed squarely with the Small Office and Home Office (SOHO) user in mind. It works great with Google Cloud Print and is perfect for Chromebook printing. 250-page paper tray–although actual capacity needs to be determined–it’s often less and one never should fill the tray to the top or you rich paper jams. However, the printer is loud– it’s noisy both on wake from sleep and during printing. This is true even in quiet mode. No doubt those in busy offices or noisy homes– or, those who attended too many ear-damaging rock concerts when young. Lastly, the Brother MFCL2750DW features a built-in document glass for high-quality copying, faxing, and color scanning. The scanner is pretty high quality and will also allow you to scan to a Chromebook. Release date: March 7, 2019. These printers are all rated at least a 4 out of 5 by Amazon users. This should imply that they have a good track record of being good Chromebook printers. Print documents and photos using AirPrint, Mopria Print Service, Bluetooth, and the Cloud. Print with IFTTT (IF This Then That) support and use web services/applications to automate printing. You can click on the link to read more Amazon reviews by people who have used these printers with a Chromebook. As more and more Chromebook compatible printers are released, this page will be updated.